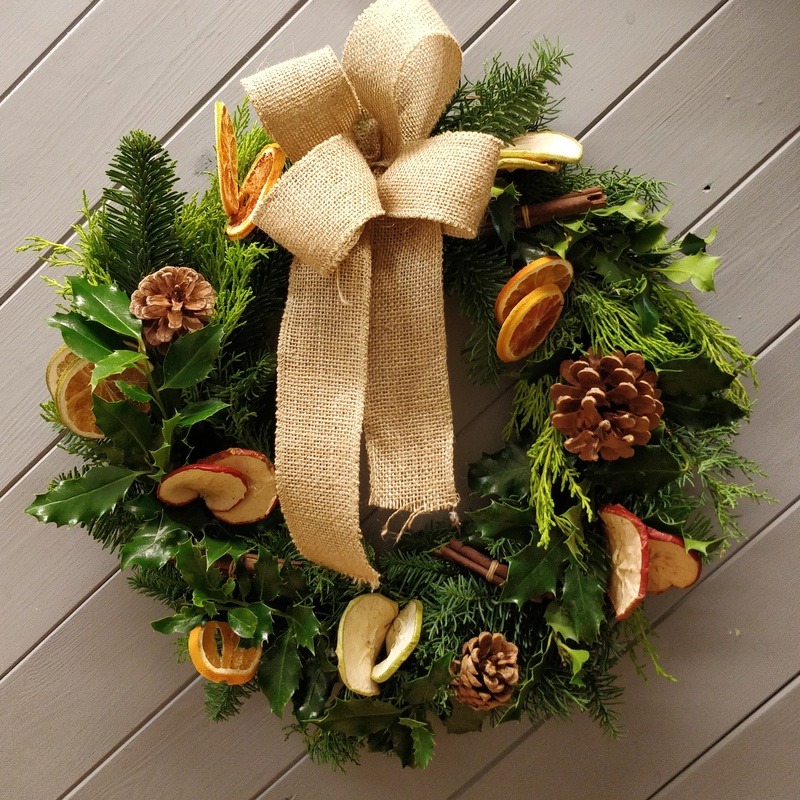 Join the team at Divine Flowers in Crediton for an evening of fun, learning to make your own luxury Christmas door wreath. 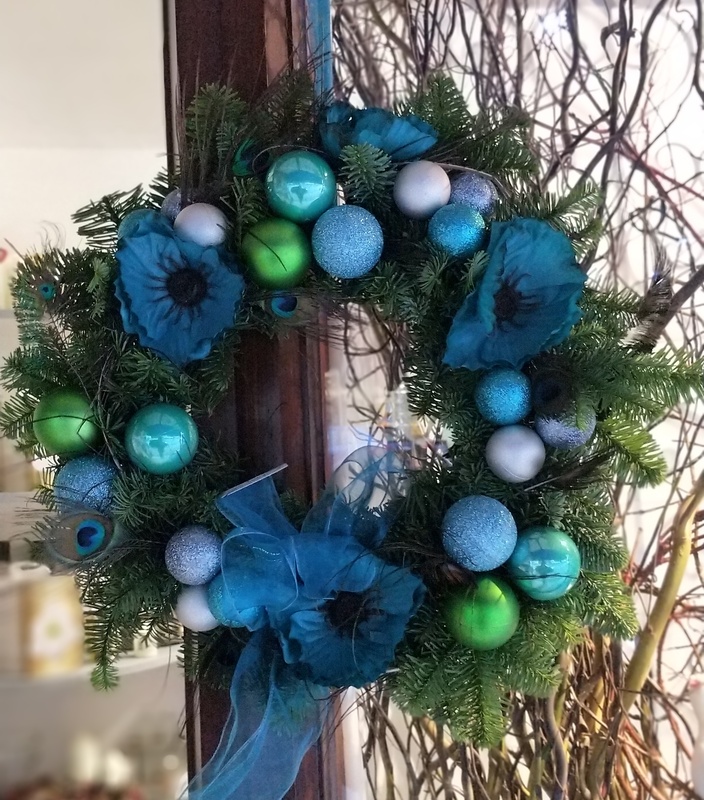 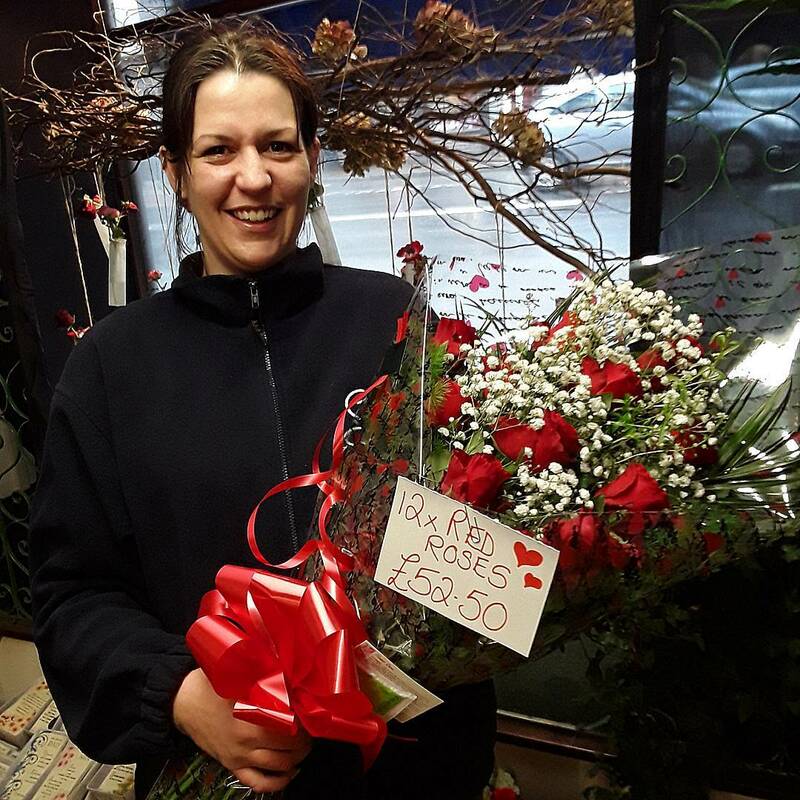 We will take you through the essentials, step by step and finish by decorating and taking home your beautiful creation! 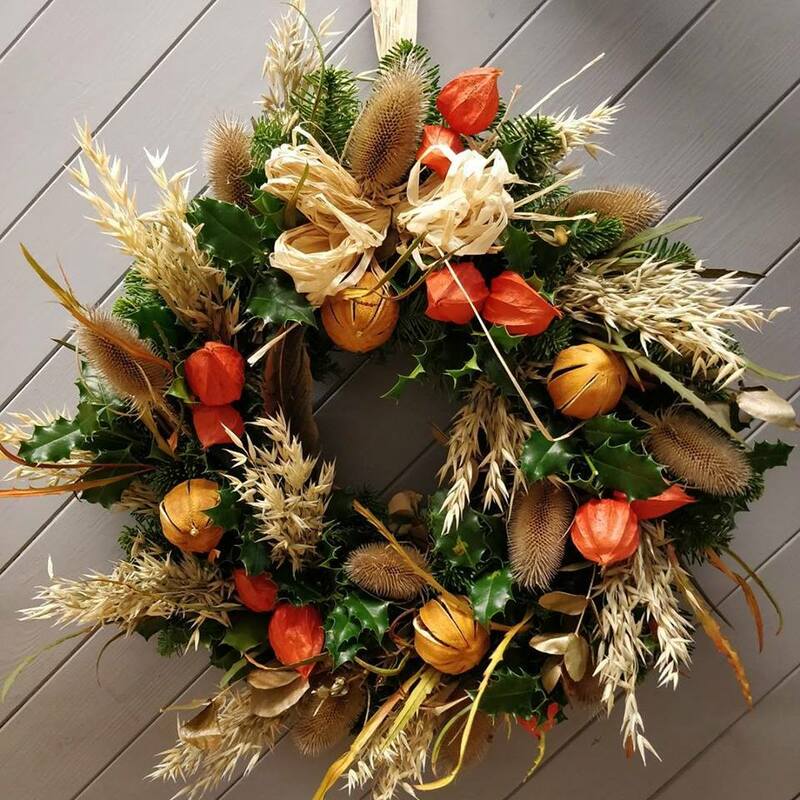 £45 per person @ The Boniface Centre, Crediton on Tuesday 27th November 7.30-9.30PM. 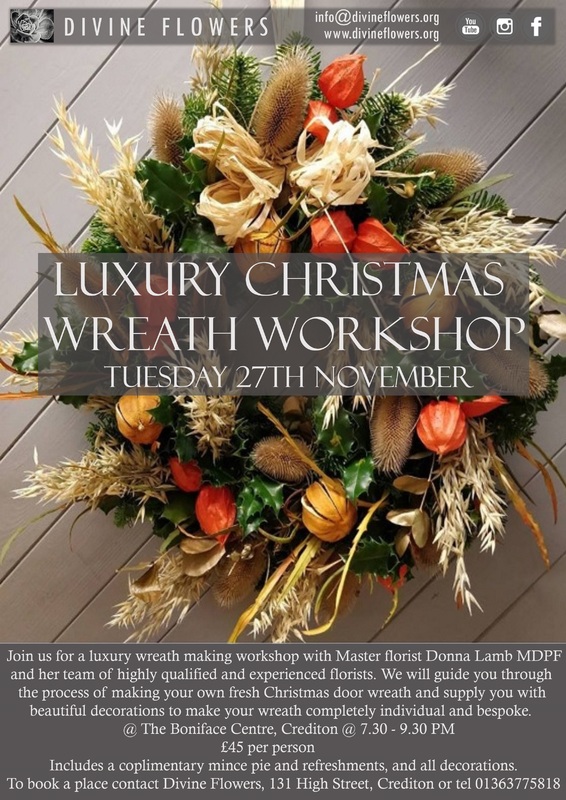 Complimentary mince pie and refreshments will be served during the workshop.